Four of my five children voted this cookie as their favorite all-time Christmas cookie. I like to make these cookies with a homemade caramel filling. 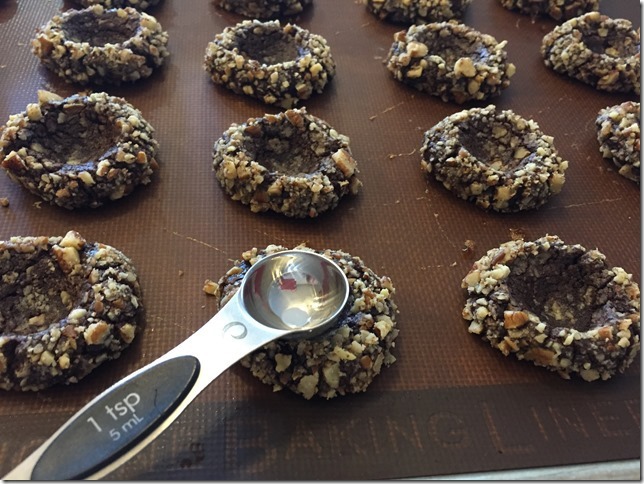 With a candy thermometer, the caramel filling comes together quickly and turns a good cookie into a fabulous one! 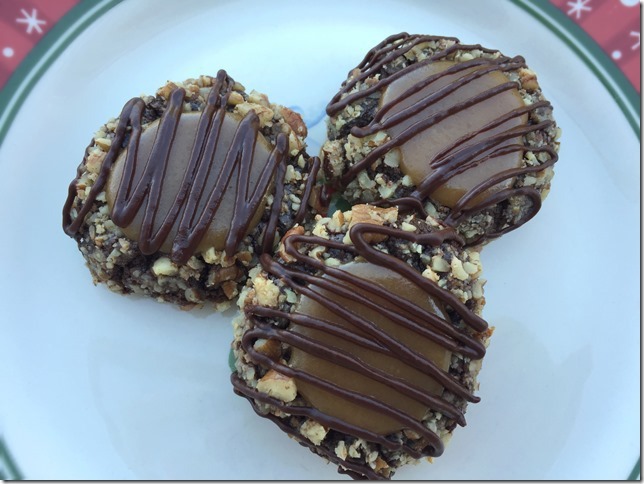 You can also make the filling with melted packaged caramels. If you want to take the “easy” route and buy a bag of Kraft Caramels, that recipe can be found HERE. 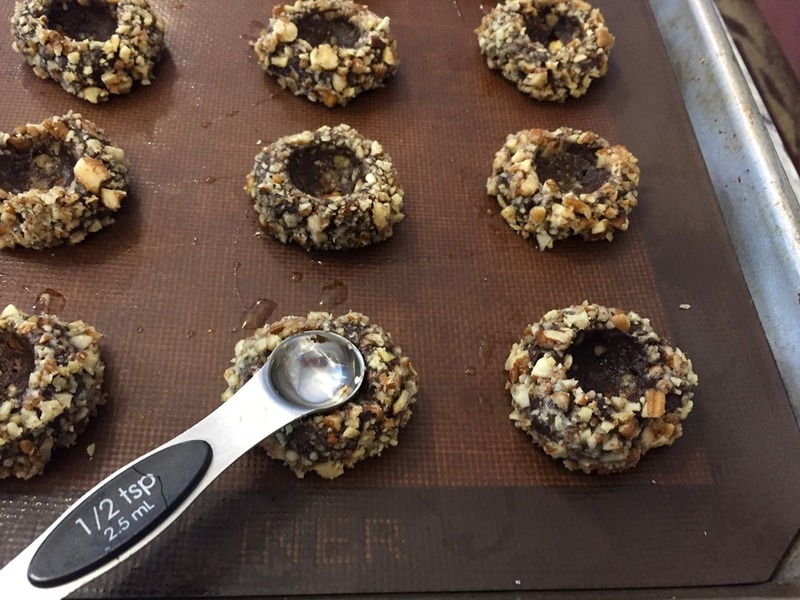 Then I use a 1 teaspoon measuring spoon on the hot, baked cookie. (The cookies do spread a little when they are baked, leaving a larger opening). This is a good alternative to actually using (and burning) your thumbs.